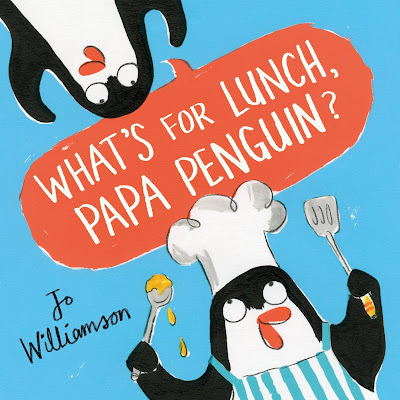 Papa Penguin and Pippin run the best cafe in the Antarctic, serving fish for breakfast, fish for lunch, fish for dinner, and even… fish ice cream! Everyone loves fish. Or do they? Show me a cute animal and I'm guaranteed to want to read the story about it. Frank sounded adorable, I love every story set in a cafe and was curious as to what this tale would involve. 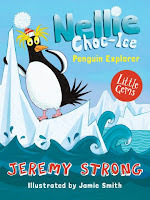 I got to see plenty of penguins, many enjoyed the Papa and Pippin cafe which sold every fish dish imaginable, there's quite a line of them on the first few pages, showing how popular the fish cafe was. I was a bit grossed out by fish in ice cream - not at all appetising for me but to penguins I guess it's tasty. The bright bold illustrations shone in the way they depicted the world when Papa Penguin and Frank went travelling to discover food Frank might like to eat. Not only was the food the animals liked shown, their habitats and how they could camoflague themselves was also depicted. The expressions of Papa and Frank upon realising they are by some animals are priceless. Frank was extremely fortunate to have a father who wanted him to enjoy food and who could take him travelling. I feel they both learnt a lot on the world tour, although the biggest lesson was learnt when they got back home and made me laugh a lot at an ending that I felt I should have predicted, but somehow came as a surprise. I think it teaches readers to be open minded with food, and to understand that sometimes in life you may want something different, but in reality you're happy with what you've got. The grass isn't always greener - or in this case non-fish food isn't always tastier! 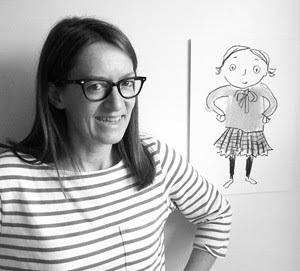 Find out more on Jo's website, and a bit more in the guest blog post she kindly wrote for NRC below! 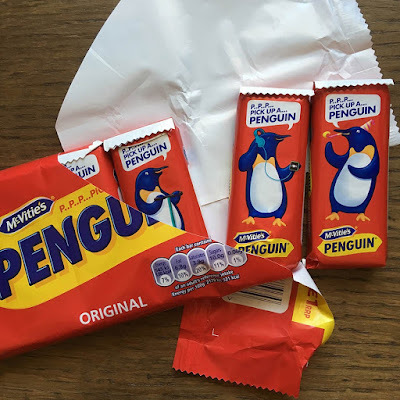 I too love Penguin biscuits, especially the mint flavoured ones! Jo Williamson is an author/illustrator, and her latest picturebook is What’s for lunch, Papa Penguin? 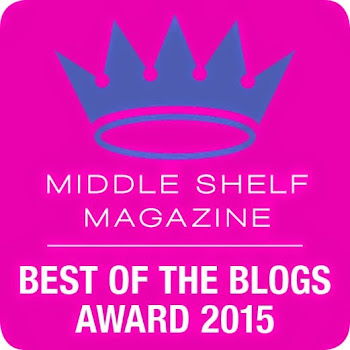 Here she shares her top five favourite penguins (and non-flying birds). 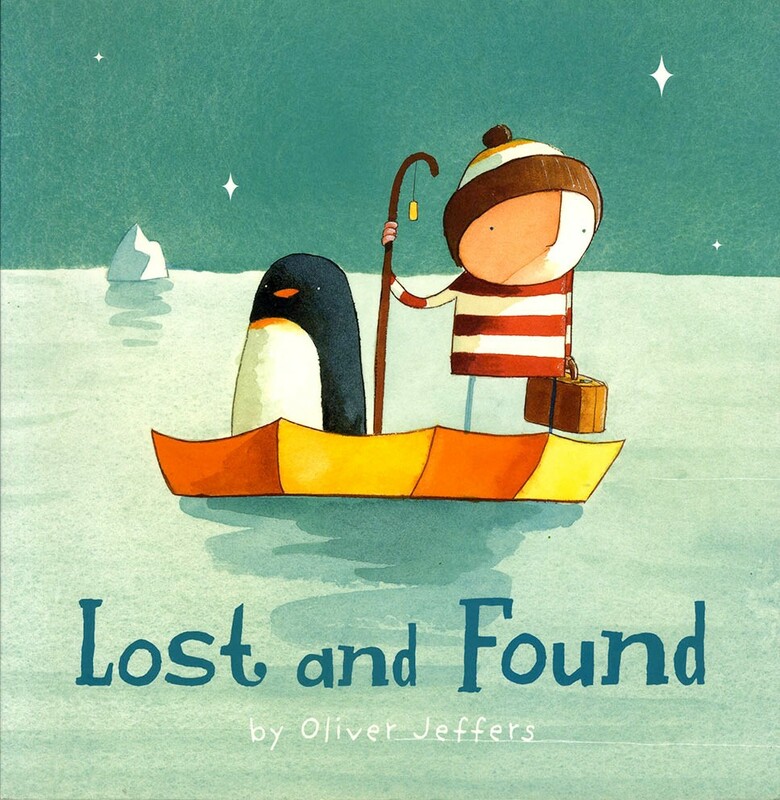 Number one has to be ‘Lost and found’ by Oliver Jeffers. It is this book that I bought as an adult, along with another illustrated by Lisbeth Zwerger, which made me want to become a children’s book illustrator. It’s such a moving story about being lonely and finding a friend, and there’s also the most epic stormy sea page. 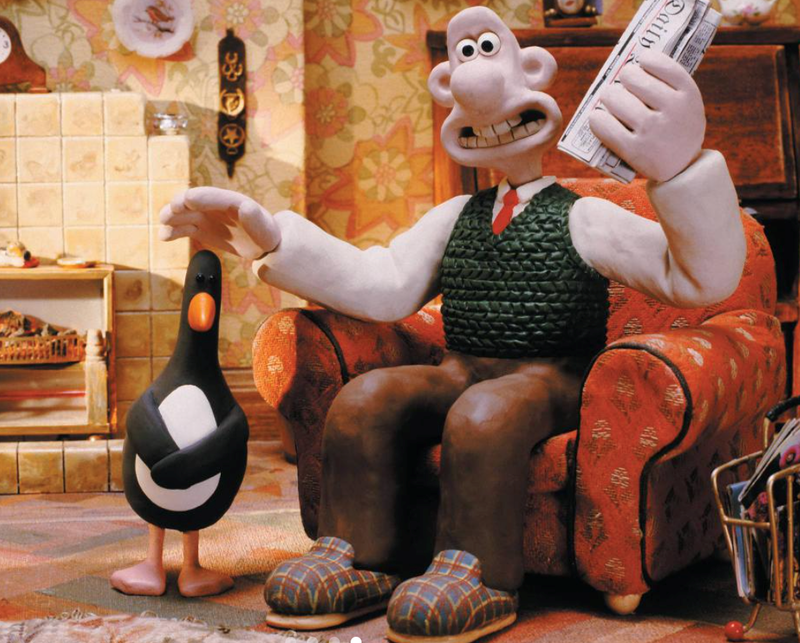 Number 2 is Feathers McGraw, the menacing penguin in the Wallace and Gromit film The Wrong trousers, created by Nick Park and Aardman Animations. Feathers McGraw is a criminal mastermind who disguises himself as a chicken by wearing a rubber glove on his head. I love any Wallace and Gromit film, but this has to be my favourite. Number 3 Arabel’s Raven was written by Joan Aiken and illustrated by Quentin Blake. 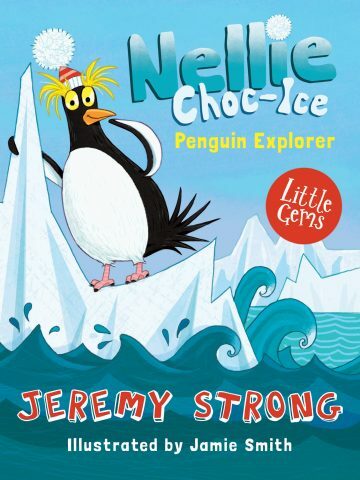 Ok, I admit I’m cheating with this one, but Mortimer, like all penguins, is a non-flying bird (well only in emergencies, as he likes to be pulled along on a trolley). 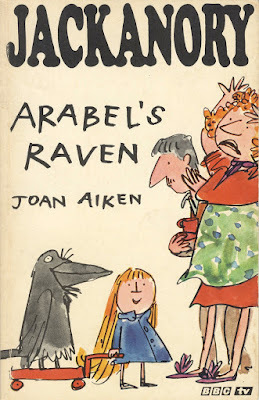 This still makes me laugh and I’m a big fan of both Joan Aiken and Quentin Blake. 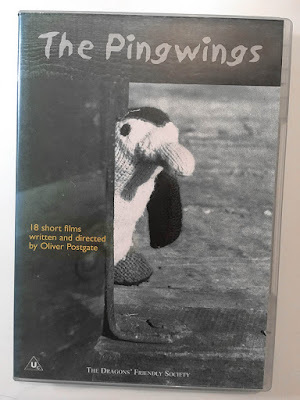 Number 4 is The Pingwings, by Oliver Postgate. This wonderful animated series is by the creator of Bagpuss, The Clangers, and Ivor the Engine, and follows the life of a family of knitted penguins living on a farm. The film reels were rediscovered forty years after they were first shown, and restored. Number 5 Penguin biscuits. This is pure nostalgia. Not only did my brother and I eat these on a regular basis as kids, but they are also still made at the large McVitie’s factory on the A6 in my home town of Stockport. Q. What is a Penguin's favourite salad?